Wondering if psychedelic drugs can be addictive? Find out here about the capacity for dependence on psychedelics. While it is not common, it is possible for individuals to become addicted to psychedelic drugs. Is psychedelic drug addiction real? Does it affect every user or only those who take psychedelic drugs regularly? The answers to these questions are actually not as simple as you may think. In fact, while most people mistakenly believe that all drugs are in fact addicting, psychedelic drugs are generally nothing of the sort. However, don’t be fooled into thinking that non-addictive is the same as “safe” for use. Psychedelic drug addiction, though not a household term, is possible. Addiction is defined as a physical or psychological desire to abuse drugs or take part in another behavior despite the known consequences or problems that such behavior causes in life. Addiction usually begins with the development of tolerance which continues to grow and build with each behavior or drug use activity. As the tolerance grows, the user will use more and more of the drug to attempt to produce that same first high that they felt when they began using drugs. Not all people who use drugs will become addicted to drugs. In fact, drug addiction is a non prejudice state. 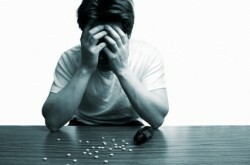 The addiction does not pick and choose who it will affect based on their age, race, ethnicity or wealth. In fact, people who become addicted to drugs often suffer from underlying conditions such as mental illness or physical health problems but not always. There is no real way of knowing who will become addicted or who will not become addicted. As time goes, as drug use persists, the user will simply begin to develop addictive qualities or he or she won’t. The general answer to this question is “no.” Psychedelics are not generally addictive but this does not mean that there are no cases of psychedelic drug addiction. According to the National Institute on Drug Abuse, when people do become addicted, they generally don’t suffer from any major physical side effects as most of the addictive effects of psychedelic drugs are psychological in scope. Psychedelic drug addiction may occur as a result of a user’s decision to take these drugs over and over and over again. Usually, the only real sign of addiction is the cravings that come when the user is no longer high but depression and anxiety are also common in those who are addicted to psychedelic drugs. Is there Help for Psychedelic Drug Addiction? While this may not be the most common addiction in the world, this doesn’t mean that there are no methods of help for those who suffer from psychedelic drug addiction. People who are addicted or who feel like they can only have fun while they are under the influence of psychedelic drugs can find help in various methods of support, treatment and care offered throughout the rehab centers and treatment facilities. Every case of addiction, to any drug, is different so it may take trying a few different types of treatment or recovery methods out before you find one that works for you. Keep in mind that you are not the only one who is suffering from the physical or psychological dependence and that you can get the help and support that you need if you’re willing and ready to try. Most of the time, support groups and behavioral therapy are the most effective means of help or treatment for psychedelic drug addiction. The support is great because it allows the user to work with others, talk to people who are dealing with similar situations and develop a foundation in solid relationships that will help to curb the drug use. The behavioral therapy is also effective for similar reasons. Here the user will learn how to recognize why they abuse psychedelic drugs such as LSD or mescaline and he or she will then work to find ways that they can avoid the drug use and overcome the challenging or otherwise disruptive behaviors that usually involve their drug use. Behavioral therapy can be combined to provide a solid foundation of recovery for those who need help in coping with or overcoming psychedelic drug addiction.